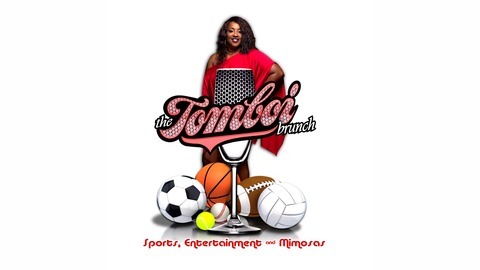 "the TOMBOI brunch" is not your typical sports show! This show is for the Ladies who Love Sports! 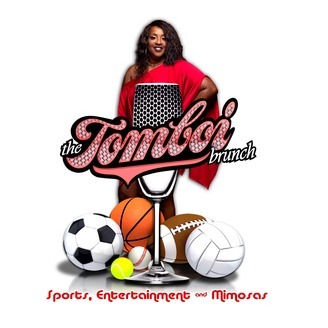 Each week Katrina will be joined by some of our favorite celebs, athletes and experts as well as one of our TOMBOI brunch followers who will join us each week as a guest co-host! We bring a new flavor of sports reporting that also includes entertainment, lifestyle, fashion, health/fitness and other hot topics. So, join us every Saturday morning for Sports, Entertainment & Mimosas! TOMBOI...Because Ladies Love Sports, Too! Who You Callin' a B***h?!? Join us for brunch today with Michele Greene, President of the Professional Football Players Mothers Association (NFL Moms), Gwen Jenkins (PFPMA), 22 year Retired Army Seargent First Class Byron Grier and my Sistas Taj and Lamona for a full serving of HOT TOPICS! !